I just recently added a couple of raspberry plants to my backyard landscape. With each season I try to add a new perennial fruit to my resume. Two years ago it was grapes, last year it was strawberries and this year it was blueberries and raspberries. I already covered the blueberries in my recent article, “Adding Blueberries to Your Home Vegetable Garden”, so now I wanted to touch on what I am doing for my raspberries. Through my research I found that raspberries can be broken down into two basic categories, ever-bearing and summer-bearing. Ever-bearing raspberries will produce twice for you, once in the summer and again in the fall. As the name implies, summer-bearing, will produce only in the summer. I chose an ever-bearing variety. The first thing I wanted to do was get the soil right. Similar to other berries, raspberries like the soil to be a bit more acidic. My research concluded that the variety I chose loves the 5.2 to 6.2 range. I decided to make a nice mix of compost, peat and perlite (all equal parts) as the foundation to my raspberries soil. I had purchased an already existing plant, about 18 inches in height and pruned by the nursery I purchased it from, so I can get a head start on it this season. When transplanting your new raspberry plant, make sure you give it plenty of water. This is true when you transplant most types of plants, trees, shrubs, etc. 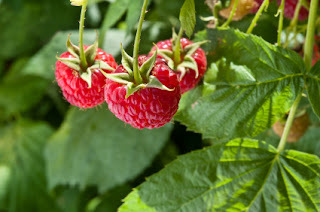 Most of the varieties of raspberries are hardy from zones 5 through 9, but if you do not fall within these growing zones, not to worry, there is something out there for everyone. Such as the ever-bearing August red that is hardy in zone 3 and the Dinkum which is hardy to zone 11. You will be able to find one that is right for your area. The best place to look is at a local garden nursery that sells them. Many varieties of raspberries can be a bit invasive, meaning, if not cared for and pruned or trimmed back, they can really take over an area. Also, keeping them pruned, according some sources I spoke with, helps yield juicier fruit. Most varieties of raspberries, when they start producing fruit, can be a bit top heavy, and if you don’t give them any support, will fall over, or at least, slump over. I set up a lattice trellis behind each raspberry plant that stands six feet tall and a little less than 4 feet wide. 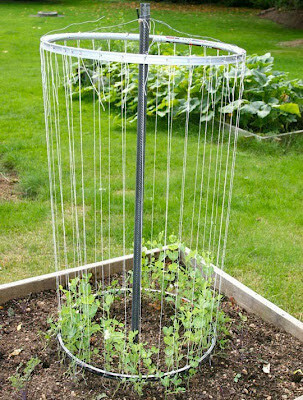 I will be using these trellises to not only help with the support but also act as a guide for my pruning. My raspberries are now all set. With regular waterings, and a bi-weekly feeding with an organic soil acidifier that I am using (Green Light Iron & Soil Acidifier), I will have great tasting raspberries in no time. Once in awhile I will receive an email for feedback on the book I wrote recently on home vegetable gardening. I appreciate feedback that I receive, both good and not so good (the politically correct phrase for “bad”). I can understand what the person wrote. When you buy a book titled, “Vegetable Gardening for the Average Person: A Guide to Growing Vegetables for the Rest of Us”, the name itself implies you will be talking about how to grow vegetables. My reasoning for starting with composting was simple. Let’s say you were building a house. In order to put the first floor on, second floor, walls, the roof and so, you need a foundation. If that foundation is flawed, weak or what have you, the house will not be able to be built, or worse, will collapse under its weight. Your vegetable garden is no different. If the soil you plant your veggies in lacks nutrients, is too acidic or too alkaline, very few plants will grow, or even worse, nothing will grow at all. This is why I started with talking about compost. Composting will help build up your soil by adding in many nutrients your plants will need to grow and thrive. It also helps with soil drainage and water retention. I will save that for a future article. If you have a vegetable garden or are thinking about starting one, then having a compost pile (or some other compost technique) should be at the top of your list as well. You don’t need to go out and buy an expensive tumbler or bin, although they do make life a bit easier. You can make one yourself with some leftover wood, or you can just pile everything up in a corner of your yard and just leave it there. Although for best results, turning the pile over once in awhile helps speed things along. The easiest composting method of all, in my opinion, is trench composting. This is where you simply bury your organic material in your garden area (when plants are not in) and cover. Then let the worms, bacteria, etc., do the work for you. As a side note. If you are looking for a good book on various composting techniques, then be sure to check out The Complete Idiot’s Guide to Composting by author Chris McLaughlin. I have read this book myself, and absolutely love it! Regardless of which method you choose, be sure you are doing some sort of composting. Composting will ensure that your garden’s soil, the foundation, will be strong and of high quality, which in turn will allow your vegetable plants to grow and flourish. I am sure at some point in your life you had, even for a brief moment, some kind of science class where you studied insects, better known as entomology. Without going into great biological classification details, just know that insects make up the largest part of the Animalia Kingdom. So why is this important and what does it have to do with home vegetable gardening? Because there is such a wide variety of insects (in the millions) your home vegetable garden becomes a wonderful habitat for literally thousands of different species. Besides the large number of species you can encounter, there are some amazing things that occur in your garden that you may not even notice, or are even aware of. For example, you can plant some broccoli which may attracts aphids. I’ll get into good and bad bugs in a moment. The broccoli is a food source for many species of aphids. In turn the aphids are a food source for ladybugs, however just because you have aphids does not necessarily draw in ladybugs, but you can see from the example the whole “circle of life” thing going on here. This same example is replicated many times over with various insects and as your garden grows so does this process. This creates a perfect environment to walk and talk with your kids in the garden about not only the importance of what you are growing, but what you are seeing, and what happens on a smaller level. Think of it as a field trip to your backyard. If you are skilled in the art of insect classification, that is wonderful, it will make the learning curve for your children that much easier, however, if you are like me, and have not memorized all of the one million plus insects in the world or even the few hundred thousand in your neighborhood, then there is a great tool you can use. This handy tool, called Mac’s Field Guide, is available on Amazon. You will notice there a number of field guides to choose from as there is one for each part of the country. The guide is a large laminated sheet listing good garden bugs on one side and bad garden bugs on the other side. 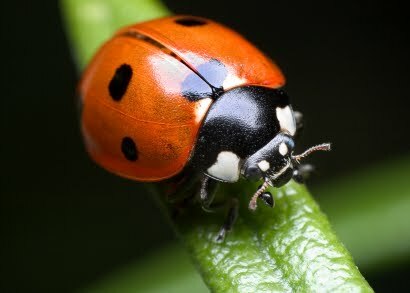 It doesn’t list every single insect you may encounter, it will list the most common ones that you will see in a typical home vegetable garden. The simple definition of a bad bug is basically an insect that will eat or destroy your crops while a good insect will eat or destroy bad insects, contribute to the pollination process, etc. When you know and understand the role of the insect you are looking at, it will help improve your home vegetable garden, as you know which insects should be removed and which ones you leave right where they are. If your kids are anything like mine then you will see how amazed they are at how many insects they can identify from the field guide, and the questions they will ask. This backyard field trip will be educational for you and your children, and to think it’s not far away and you don’t have to pack a lunch. A member of our Vegetable Gardening page on Facebook recently posted this cool looking trellis made from Bicycle rims. Looks easy to do and saves on space. If you have been following my blog, podcast or facebook posts then you already know that every year I love to add something new to my gardening adventures. I am a true believer in trying something new, even if it is just one plant, will greatly expand my knowledge and horizons when it comes to gardening. This year will be no different. I will be adding to my garden, one blueberry plant. Living so closely to Hammonton, NJ, the self proclaimed, blueberry capital of the world, how could blueberries not be a part of my landscape? Before I did though, I searched out some advice on growing them. While I believe growing new things every year is a good thing, not arming myself with the knowledge to have it succeed would be foolish. I quickly found out that blueberries love soil to be acidic. Regardless of the variety, 4.5 to 5.5 is the ideal pH range of the soil your blueberry plants should be grown in. 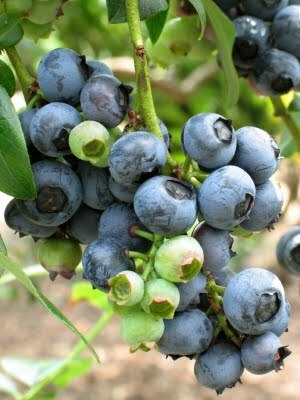 After doing my research, here is what I have done for my own blueberry plant. I chose a location that receives full sun throughout the day. In my yard I have a corner near the back left side of my house that is perfect. Because of the way the sun shines and moves throughout the day, this particular spot is never shaded, making for plenty of sun for my new blueberry plant. Next I removed the existing soil that was in that spot and created a mixture of topsoil, compost, peat moss and pine needles. “Blueberries grow best in acidic soil, so we tend to plant them in acid-loving plant mix (Master Nursery Garden Center's Nurseryman's line of products is our favorite), but we've also planted in straight peat moss with success,” says Christy. With my soil all set (a pH reading of a little below 5), I planted my blueberry bush, propped up a 6 foot tall trellis behind it, that I will use as support when it gets larger, and finally put some fencing (about 24 inches high) around it, to protect it from the animals, just in case. You never know what the rabbits in my area will eat and I‘d rather not take the chance. According to the nursery that I purchased the blueberry plant from, within 3 years it should yield about 15 pounds of fresh blueberries per season, for many years, so as long as I take good care of it. We shall see. Most people still refer to tomatoes as a vegetable even though botanically they are a fruit. Regardless of how you refer to them, one thing tomatoes can be called by everyone is good for your health. Tomatoes are by far the number one vegetable, er um, fruit, grown in the home vegetable garden. Depending on which survey you have read, tomatoes outnumber its closest competitor by more than 3 to 1, which are cucumbers in one survey I read and peppers in another. Who can argue adding them to your garden? They are easy to grow from seed, can be started indoors, and there are a wide variety of choices. With plenty of sun, fertile soil and regular waterings, you can have fresh home grown tomatoes all summer long (in most parts of the world). 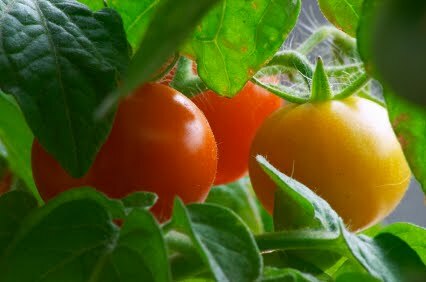 There are a number of health contributions that adding home grown tomatoes to your diet can attribute to. For example, I recently had a chance to speak with board certified dermatologist and UCLA clinical professor, Dr. Tanya Kormeili. While Dr. Kormeili is a staunch supporter of adding home grown tomatoes to your diet for all the positives, she highly discourages the use of using tomatoes in a form of a topical face mask. She says doing this can cause sensitivity and rash, and that tomatoes should always be consumed and not applied. So how should homegrown tomatoes be prepared in the kitchen? For this information I turned to Charis Freiman-Mendel, author of the book “Cook Your Way Through the S.A.T.”. 2. Homegrown, especially organic, tomatoes have more nutrients, according to Charis, than conventional sit on the shelf varieties. 3. Tomatoes are low in calories. A perfect addition to any healthy eating plan. 4. Tomatoes are considered acidic which is undesirable, but it’s their acidic quality that helps fight urinary tract infections. With all that tomatoes have to offer for your health, wouldn’t it make sense to grow at least grow a few plants at home? I believe so.